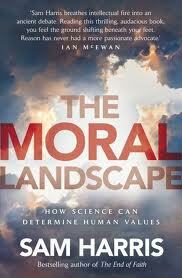 Nearly three years after Sam Harris’s The Moral Landscape was published in English, Sam has issued a public challenge. Anyone who believes that his case for a scientific understanding of morality is mistaken is invited to prove it in 1000 words or less. The prize money for anyone who is judged to be successful is 20,000 dollars. I have read Sam’s book and this is my response. 1 I agree with Sam that an important obstacle to increasing our understanding of any area of human knowledge is dogmatism. 2 I also agree with him that a key characteristic of religious fundamentalism is dogmatism. 3 I also see no reason in principle why scientific insights (including from neuroscience) should not have an important role to play in improving our understanding of morality and in responding to new moral challenges. 4 I share Sam’s view that moral relativism is false and comes at an increasing cost to humanity. 5 However Sam fails to distinguish between fundamentalism on the one hand and the best theological thinking on the other. 6 I think it would be good if Sam spent more time reading some of the best Christian theologians. He would find that, when they write about morality, their arguments are both reasoned and pragmatic. They share his hatred of dogmatism. 7 Sam sets up a false antithesis in his book between faith and reason. Many Christian theologians have written about the rational basis of faith. Indeed the prophet Isaiah invited men and women to ‘come now, let us reason together’ (Isaiah 1:18); Jesus invited us to ‘love the Lord your God with all your heart and with all your soul and with all your mind and with all your strength’ ((Mark 12:30); and (in one good summary of a basis for morality) the Apostle Paul referred to ‘whatever is true, whatever is noble, whatever is right, whatever is pure, whatever is lovely, whatever is admirable – if anything is excellent or praiseworthy – think about such things’ (Philippians 4:8). 8. I also note that Lord Devlin (1905-1992), Lord Justice of the Court of Appeal in the UK and one of the most distinguished lawyers of the twentieth century, wrote in his book The Enforcement of Morals, (OUP 1970, p. 25) that ‘No society has yet solved the problem of how to teach morality without religion’ (and much else besides in his book which is relevant to Sam’s argument). However, in view of what I have written in (3) above, I would not wish to suggest that I am refuting the central argument of Sam’s book. I have emailed Sam with this response but have so far not received a reply.